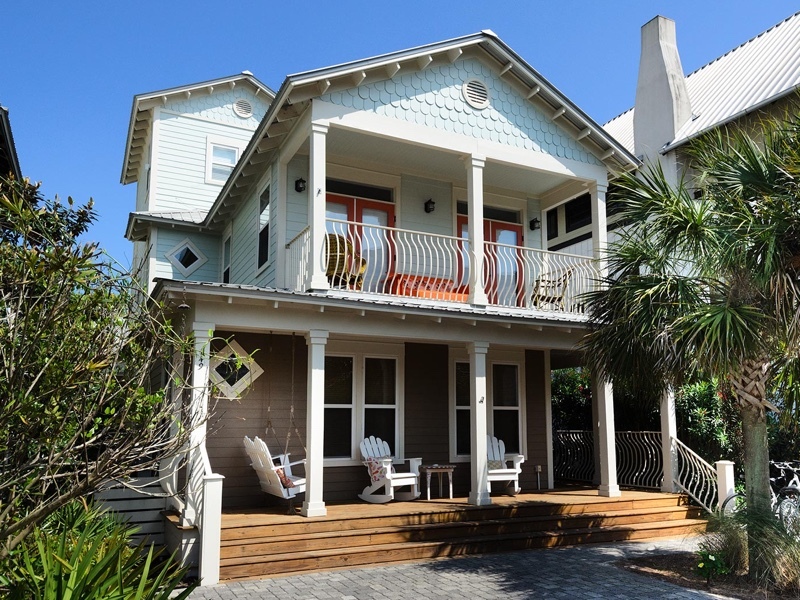 This stunning beach getaway in tranquil Seacrest Beach. With 4 bedrooms, 4 bathrooms, and a third floor loft great for enjoying breathtaking sunsets, this spacious abode comfortably sleeps 11 people with plenty of living and dining space for the whole family. This amazing home features the best of it all including access to Seacrest’s 12,000 square foot pool (the largest on 30A) and an incredible view of Rosemary Beach from the marvelous outdoor space. A coastal retreat that can’t be beat, “The Happy Place” is the perfect spot to relax and soak up the Emerald Coast lifestyle, whether you want to lounge on the porch or embark upon a coastal adventure. Leave the car in the driveway! With shopping, dining and entertainment just moments away at neighboring Village of South Walton , Rosemary Beach, or Alys Beach a scenic stroll or bike ride often makes the journey just as magnificent as the destination.